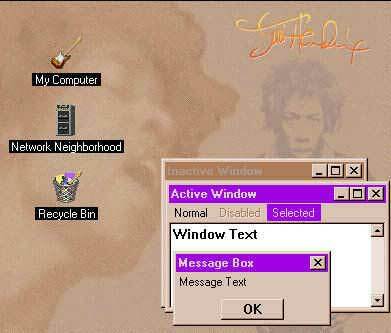 The above image is a picture of the Jimi Hendrix Theme. To use this theme you must have Microsoft Plus! Or Desktop Themes installed on your computer.